As we all know that commercial transport industry is under great pressure to clean up their act, and the search to make buses and coaches as green as possible is an issue that is not going away. Whilst many engine and vehicle manufactures struggle with new technologies including bio-fuels and electric possibilities, other areas of the industry have also been trying to reduce energy consumption. For instance the introduction of sophisticated tracking systems by companies like eCoach Manager, makes it possible to cut down unwanted journeys and to always travel with a full load. Major research by Scania has predicted that a fossil-free commercial transport system is well achievable by the Paris agreement. The research by Scandia was checked by an independent body and it showed several routes that can be followed to phase out carbon emissions. Together they have highlighted a path to reach 2050 fossil free. To aid in doing this they point at new technologies together with a new infrastructure. In addition there is a need to achieve a global increase in new fossil free powertrain technologies at a rate of 10% per annum, this would give full sales penetration of 2040. 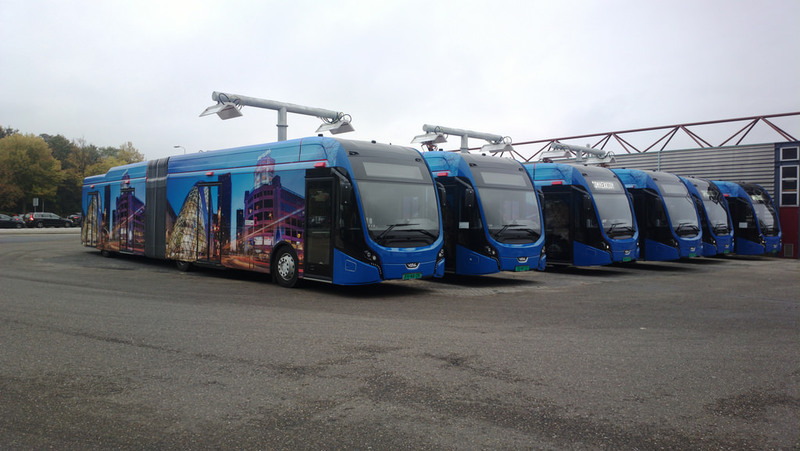 There were three transport segments that were included in the research: city bus, long haulage and distribution covering four countries, US, China, Sweden and Germany. Battery Technology – This solution can provide the most efficient way to achieve all goals. It is the quickest and most cost-effective way in most countries that have the infrastructure capability for charging systems and non-fossil energy. For full scale electrification around the globe significant resource and infrastructure investment will be needed. But the returns will significantly cover this as it is 40% cheaper to operate electric vehicles as diesel. In the interim, biofuels can offer an effective and viable pathway until the expense of batteries can be worked out. These fuels take advantage of the traditional engine technologies but are far cleaner. These fuels exist today and can be used here and now. If there was global use of biofuels then this source could power as many as 20% of the vehicles in 2050. However, fuel cell vehicles are expensive, so it is thought that this pathway would be at a slower rate that electric and battery power. However, if the cost reduces and renewable hydrogen is more plentiful, then fuel cell technology could be a substantial part of powering a fleet of buses. Both pathways are a legitimate way of going forward, and over the next fifteen years they could progress at the same pace. Whether we eventually use a combination of pathways or go down one particular route, the fact still is that there needs to be an unprecedented rate of technical advance. What is crucial for all this to succeed is that everything must start immediately, funding has to be put in place and everybody concerned has to agree on large-scale technological change and commitment to radically change the infrastructure of our urban towns and cities. To run through concurrently alongside this development must be the decision by transport buyers to demand fossil-free equivalents. In conclusion, after the research by Scania there has now a coalition of companies spearheading the way forward, to accelerate the pace of change and to guide the industry forward.